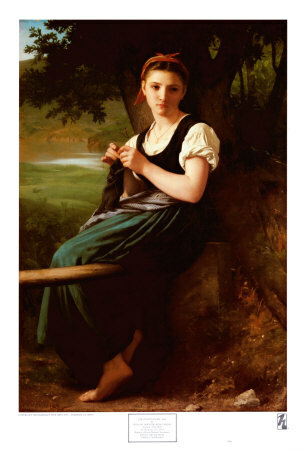 The first from one of my favorite painters, Bougeureau. How can you not love her beautiful skin and her bare feet? 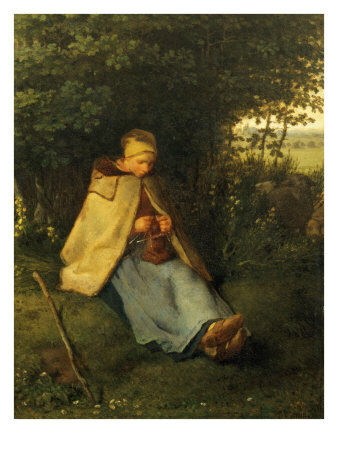 Next, a woman knitting in the midst of other work. I forget that what I do for a hobby once had to be done "for real"--to have warm clothes or socks. Rather than an enjoyment it would have be another "to do". 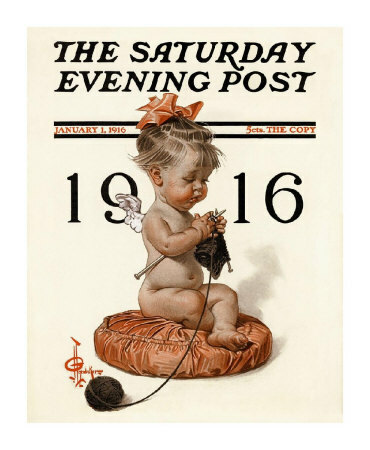 I don't know what she's knitting, but she's using 3 needles, like you do for socks. Maybe a sweater? 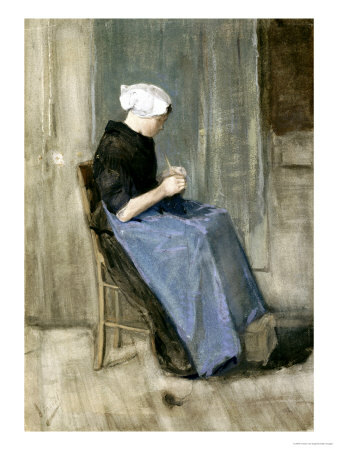 Then this painting because I love the composition of it, with the slash of blue of her apron running across the image, and the still counterpoint of her white head covering. The gray/blue in the background is lovely, too. smock is the one with the hat ! OMG, i was just about to leave the comment ... "i get to be the gal in the back with the fabulous hat." lamama, you know me oh too well! This page contains a single entry by MamaT published on July 24, 2009 7:45 AM. Today is LaMa's Feast Day, I think! was the previous entry in this blog. the smock checks in, finally, with a shout out to her guardian angel is the next entry in this blog.